Food Catering for multi faith or Public Events - Many groups have social gatherings where shared food and hospitality play an important part. A shared meal, announced as vegetarian, ensures that each community has some familiar food. Careful labelling of all dishes allows participants to explore new tastes without anxiety about accidentally eating foods not acceptable to them for religious reasons. It is a good idea to discuss food issues with your group or council and agree a basic set of guidelines. If you are arranging an event which involves sharing of food, the following guidelines may be useful. It may be helpful to give a copy of them to the caterers for an event and have them available should anyone be interested to see them. Generally speaking, the best way to cater for a multi faith event so that the maximum number of people can share in the food is to make it fully vegetarian, with some vegan options, and to label each dish. Other pointers: Have some dishes which contain no eggs and ensure that some of these non-egg dishes also contain no garlic or onions (since all these may be unacceptable to some Hindus, observant Jains and also some other groupings). Devout Jains also avoid eating all root vegetables (such as potatoes) because they believe that ahimsa or nonviolence requires that you do not kill any plant: it is only acceptable to eat vegetables and fruits the removal of which leaves the plant itself alive. Consequently it can be useful to have one carefully labelled main dish or type of sandwich which contains not only no eggs, garlic or onions, but also no root vegetables. No animal fat should be used in any vegetarian cooking, and when cheese is used it should be of the kind labelled ‘vegetarian’ which indicates that it has not been made with rennet which comes from cows’ stomachs. If making sandwiches, avoid any butter substitutes made with rendered beef fat. The label will indicate use of such fat – at least one butter substitute on the market does use this form of fat. Any biscuits provided should contain no animal fats other than butter, and preferably there should be some which also do not contain egg. Also check the label to ensure that cochineal has not been used in their production as this is not vegetarian. Puddings should not include gelatine (unless it is of a vegetarian variety). Alcohol should not be used in the preparation of any food. List ingredients, so that people with religious or health reasons to avoid particular foods can do so. • Make sure it is at a time that members of the community invited can attend eg taxi drivers, restaurant owners etc. 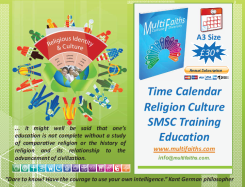 • If an event has to be organised during a period of religious observance make the reasons clear and if necessary provide a quite room for prayers. • Use local venues with good access via local transport. 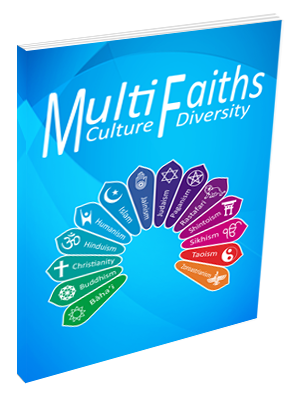 • Contact local religious leaders, community projects, voluntary groups and other community contacts. • If an open event publicise it in local shops which members of the communities regularly use. • If an open event invite all family members. • Develop good relationships with community centres or other centres where community groups meet. • If invitation only events make sure you invite all the relevant members of the community. • If lunch is provided make sure it caters for the needs of all the communities attending eg Halal food, Vegetarian etc. Also alongside teas and coffees ensure there is water and juice available. Within Judaism, the kosher rule is widely observed, but with differing interpretations. Check in advance how your Jewish participants interpret it. Normally, it is sufficient to provide totally vegetarian food and disposable plates, cups and cutlery. However, for the strictly Orthodox, it may be necessary to bring in separate meals which have been prepared in a kosher kitchen. Kosher foods include kosher wine, bread and cheese as well as meats. Such food and drink is marked with a hechsher (seal) which certifies it is kosher. Muslims will wish that, ideally, their food has been prepared in a kitchen where the utensils and contents have not been in contact with haram (forbidden) food. However, most Muslims are primarily concerned to ensure that any meat served is halal (permitted and slaughtered in accordance with Islamic law), and are generally happy to eat vegetarian food that has no animal fat or by-products used in its production. If meat and fish are used, it is wise to use chicken or turkey and to avoid food offensive to some religious groups, such as pork, beef, and also prawns (which, together with a number of other types of shellfish and fish, are non-kosher under Jewish dietary rules). It is important to spell out the issue in advance to any food preparers. Similarly, the point sometimes needs to be emphasised that fish products are not suitable for use in vegetarian meals. If meat and / or fish dishes or sandwiches are provided as part of a meal, ensure that they are on separate plates from the vegetarian foods. Caterers are often unaware of the fact that sandwiches should not be mixed, and may mistakenly serve ham sandwiches on the same platter as vegetarian ones, or sausage rolls next to vegetarian snacks. If using an external caterer for an event, underline that any meat and fish items must be on completely separate platters. Different traditions have varying approaches to the consumption of alcohol. In Islam it is forbidden and there are warnings against the dangers that can arise from associating with those who drink alcohol. Baha’is also do not drink alcohol and avoid the use of it in preparation of foods. For Hindus and Jains, it is considered undesirable. Sikhs who have received Amrit have committed themselves not to drink alcohol. For many Christians alcohol can be enjoyed in moderation as one of the gifts of creation. Some Christian groups however, advocate abstinence. Within Judaism, there is no prohibition and responsible use of alcohol is not frowned upon. Practice varies among Buddhists, although alcohol is viewed as dangerous in so far as it can hinder ‘mindfulness’. Because of the diversity of practice within religions, it is perhaps best not to serve alcohol at specifically inter faith events. If you do decide to provide alcohol at a function, set it at some distance from the non-alcoholic drinks (which should be clearly labelled). Fruit juice and mineral water should always be provided as alternatives. Coffee and tea, as stimulants, are avoided by observant members of certain traditions. It is therefore important to provide juice, water or herbal tea as alternatives to morning and afternoon coffee and tea. Biscuits should be vegetarian, including some vegan ones, and be clearly labelled. Consider Important Dates of Fasts and Festivals do not clash with the event you are planning. With regard to any particular festival, the guiding principle is how broadly the different segments of that religion accept the festival. The festivals noted in Multi Faith Calendar are annual events that people celebrate once during the course of a solar or lunar year. Other cycles of time are also important: the new or full moon, a season, a week day (for example, the Jewish Shabbat or the Friday prayers in a mosque), or a daily cycle (such as the Eucharist for traditional Christian communities). While these cycles are less obvious, they are as important to the faithful as annual festivals. When organising work functions and social, especially catered events related to work, try to consider potential conflicts between a member of staff’s religious beliefs and his/her ability to engage in social activities related to work. In many faiths, the consumption of alcohol is forbidden and there are also periods of fasting. Consideration should be given to a wide range of activities that will be inclusive for everyone. For example, checking that catered social events do not occur during Ramadan if there are Muslim members present.